Essays on An American Tragedy examine the novel, by American writer Theodore Dreiser, which has long been regarded as a classic work of muckraking fiction. 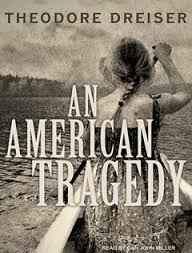 Literature research papers on Theodore Dreiser's classic novel An American Tragedy can explore the plot, theme, characters or simply give a summary of the novel. You tell us exactly what you need written about regarding Dreiser's novel and our writers custom write your project for any literature course you have. Drieser is perhaps best remembered for his debut novel, Sister Carrie (1900), which has long been regarded as a classic work of muckraking fiction. An American Tragedy was based on a real criminal case, the 1906 trial of Chester Gillette, executed for the murder of 20-year-old Grace Brown at Big Moose Lake in Upstate New York. In An American Tragedy, the ambitious Clyde Griffiths works as a bellhop in a Kansas City hotel, where his new colleagues introduce him to a world of bootleg alcohol and prostitutes. Clyde becomes infatuated with Hortense Briggs, who spurns Clyde but not his expensive gifts. Clyde flees Kansas City when another of Hortence’s lovers kills a little girl. Moving to Lycurgus, New York, a fictional town, Clyde becomes socially isolated, and falls in love with Roberta Alden, whom he impregnates. While Roberta dreams of marrying Clyde, he falls in love with Sondra. After Clyde fails to obtain an abortion for Roberta, he plans on killing her, taking her out in a canoe on Big Moose Lake, where he stages her drowning to look like an accident. An American Tragedy ends with the trial, conviction and electrocution of Clyde, events that mirror the real-life case of Chester Gillette. In 2005, An American Tragedy was adapted into an opera by Tobias Picker. Paper Masters writes custom research papers on An American Tragedy examine the novel, by American writer Theodore Dreiser, which has long been regarded as a classic work of muckraking fiction.